Numark, the world’s leading manufacturer of DJ technology, and algoriddim, makers of the line of djay products for Mac and iOS devices, announce that iDJ Live, a portable DJ controller for iPad, iPhone or iPod touch is now available. Designed to work seamlessly with djay, iDJ Live was showcased by Numark at the 2011 NAMM Show in Anaheim, California this past January. iDJ Live is an iOS-DJ controller designed to enable anyone to be an iPad, iPhone or iPod DJ. Numark has partnered with algoriddim, the makers of the highly popular djay software, to bring support for iDJ Live to the djay app for iPad, iPhone and iPod touch. 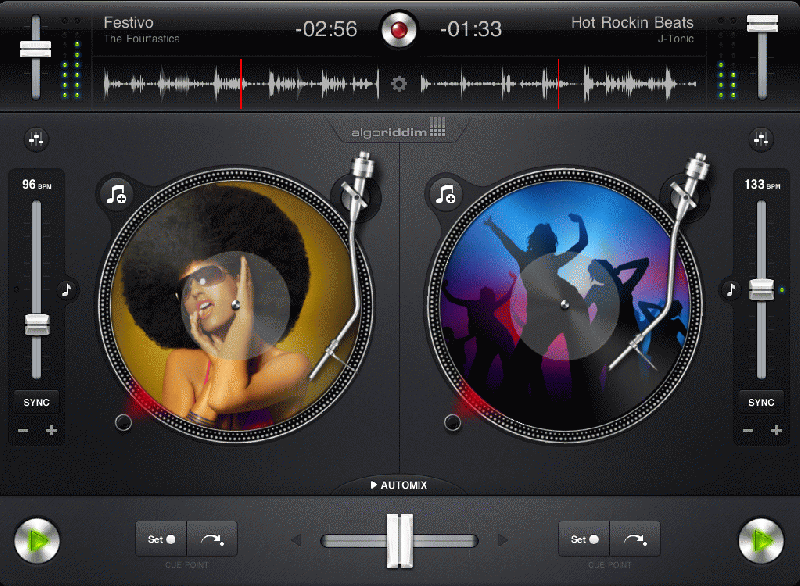 The iDJ Live system enables users to mix and scratch using music directly linked from their iTunes library in algoriddim's djay app, providing an ultra-responsive interface, or other CoreMIDI-enabled DJ apps. iDJ Live features two large performance platters and a central mixer section with a crossfader, buttons and knobs to recreate the two-decks-and-a-mixer setup that professional DJs prefer. iDJ Live comes complete with an iPad DJ stand, custom audio cable for connecting to a sound system and headphones, and 30-pin dock connector for iPad, iPhone, or iPod touch. “We are pleased to team to with Numark to provide djay users an exciting and authentic DJ experience,” said Karim Morsy, CEO of algoriddim. “Used on its own djay for iPad, iPhone and iPod touch provides users with a complete and easy-to-use set of professional DJ capabilities, but those that combine djay with iDJ Live will have the most powerful DJ tools and hardware available without upgrading to costly professional equipment. 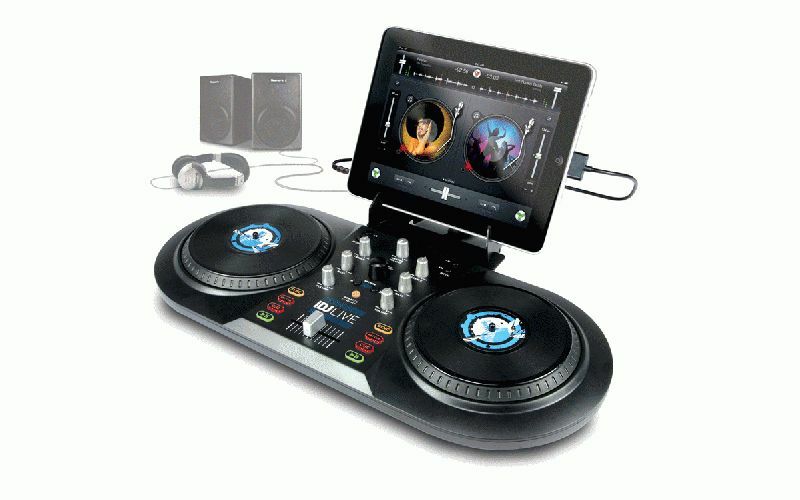 For more information about Numark’s iDJ Live, a new iPad, iPhone and iPod touch DJ controller, please visit http://www.numark.com/idjlive. djay app from algoriddim is sold separately via the App store. iTunes, iPhone, iPod touch and iPad are trademarks of Apple, Inc. registered in the U.S. and other countries.